"It's Not Just a Chore"
Task: Convince people why they should volunteer. 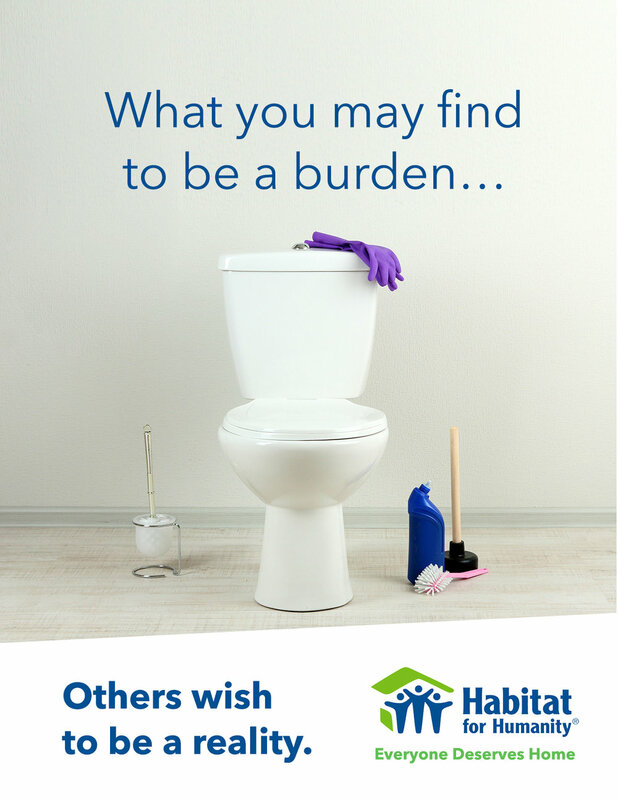 Idea: Having a house chore means access to shelter, and we can help you to help others make it happen. 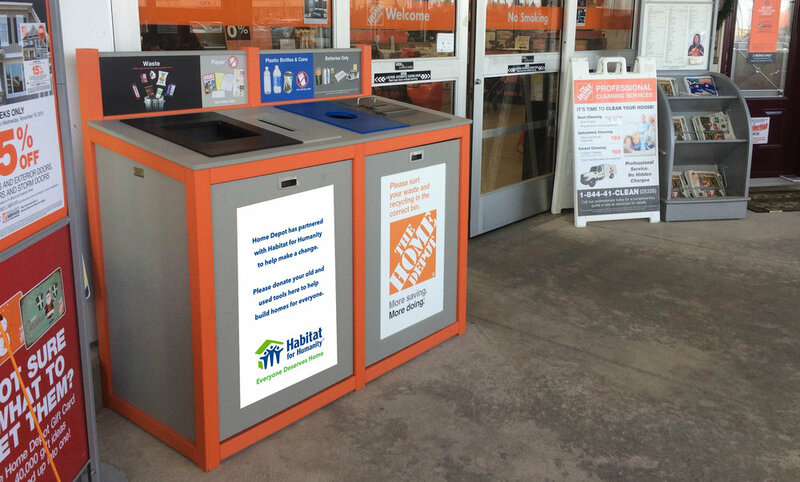 Through a partnership with Home Depot, homeowners who recycle their house tools would receive a discount for their purchases at the store. Families who are recipients of the H4H program would then have access to tools to help sustain their home. 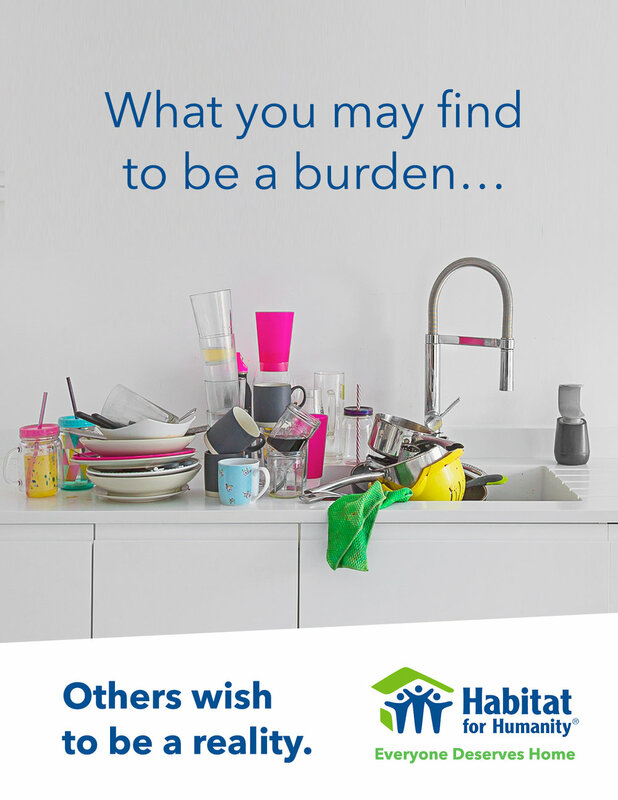 Donating your partially used tools can help sustain homes.